1. I will not get upset when plans change. 2. 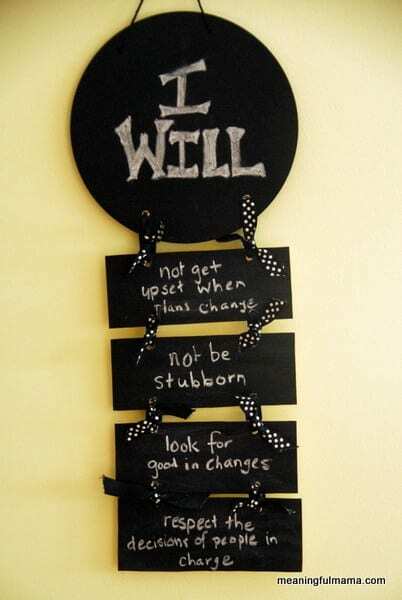 I will not be stubborn. 3. I will look for good in changes. 4. I will respect the decisions of people in charge.